Termed as an extremely complex and expansive process, software testing involves testing of heterogeneous components and elements, of varying size, scope, and form. From the minutest element of the software to the most composite one, this process is capable of verifying and validating the quality, reliability, performance, effectiveness, etc., of the software. Unit Testing, which is a type software testing technique, is used by the team of software testers to validate the accuracy of the smallest component of the software, the UNIT. Considered to be the first level of software testing life cycle (STLC), unit testing is performed prior to the execution of integration tests. The objective of this testing is to validate the correctness and completeness of the smallest component of the software- Unit, which is the smallest testable part of the software that is capable of accepting and producing input and output, respectively. These units are integrated, to form the modules or the system. Performed by a selected group of software developers, uni testing involves evaluation of each unit, before it is integrated to for the system. These units are verified and validated on the basis of specified requirements, by testing them in isolation to identify, analyze and fix defects. It is an effective testing, which may prove to be economical for the software development process, as detecting the defects in the integrated system is much more complicated, whereas it is easier to find the bugs & defects in the smaller units. Early detection of the bugs in the software development process enables the developer to fix them at the initial stage of the development process, thereby saving both time & cost of the project. Ensuring the functional correctness and completeness of the software product. Checking input values and correcting output data. Identifying, analyzing, and rectifying defects. 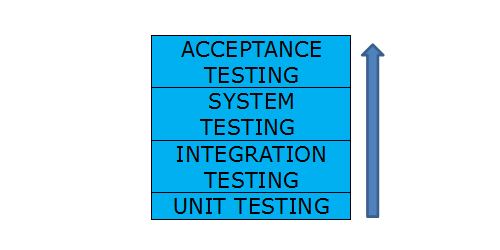 Performed before integration testing, unit testing is also known as component testing. It is a component of test-driven development. Forms the foundation of extreme programming, as it excessively relies on automated unit test frameworks. Evaluates individual units of the software product. Software developers write the test and run the test for unit testing, to validate the compliance of the software code with its design as well as to ensure its intended function. It may include testing techniques like walk-through, review & inspection of programming code. It also demands strict possible test plans for each isolated units, to produce effective results. Automated testing is preferred for this type of testing. However, manual testing may also be used for this type of testing. Requires plenty of time & patience to focus & perform testing on each unit. Provides an effective approach to trace & resolve the errors in the programming code at an earlier stage. Saves time & cost of finding & resolving the error, at later complex stage. Defining and creating Unit Test Plans. Based on the specified test plans, unit test cases are designed and prepared. Execution of these test cases on individual units. Fix the bugs (if any found) and re-evaluate the unit. The cycle of testing keeps on repeating, until the unit gets rid of all the bugs. Black Box Testing: This type of unit testing enables the team to test the user interface of the software, along with its input and output. White Box Testing: White box testing is another important type of unit testing, which is used by the developers to test the functional behavior of the software product and to validate their execution. Gray Box Testing: Finally, the third type of unit testing, gray box testing is used to execute test suite and test cases, perform risk assessment, and to test various test methods. It allows rapid and convenient integration. Here, tests are written before the test code. The tests is highly dependent on testing frameworks. Enables the team to test all classes in the application at any time. Promotes simpler and more confident code development and refactoring. The unit tests in extreme programming are also used as regression testing. Simplifies code integration and enables accurate documentation. Uncertainties or Trouble With Test Names: Names that don’t reflect the intent of the testing or miscommunicate the the test type can increase the challenge of testing for the team. Moreover, it can increase confusion among team members, which can further impact the testing of the software. Understanding the Entire Code: Software development requires excessive amount of coding and understanding the entire code can be extremely difficult and tedious for the developers. Moreover, it can delay the process of testing and product release. Problems With the Test Doubles: If the mock codes require more testing than the production code, then it is an indicator that there is an issue in the product, as the aim of these mock objects is to simplify the process of testing. Finding Dependencies: Finding dependencies in the software product can be a hassle free task, which can hinder the process of testing. Frequent debugging of Tests: Debugging is a complex task that requires great efforts and time. Hence, if the tests fail constantly and often require testing and debugging, it can increase the challenges in testing the software. It eliminates the dependencies on other modules. Allows testing of individual parts of the software. Validates the quality and accuracy of the program code. Team can execute unit testing before the culmination of the development process. In unit testing the code is modular, which makes them more reusable. Due to its modular nature, the team can test a part of the project, without waiting for the others to be complete. Reduces the cost of testing, as defects are identified and fixed in the early stages of development. It facilitates change, simplifies documentation, as well as integration. Increases the reliability of the code. Unit testing cannot be used for a comprehensive detection of errors in the program. It is impossible for the team to analyze and evaluate every execution path in the software. 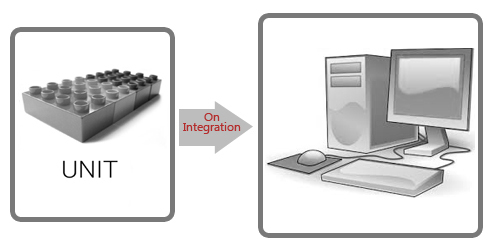 As the focus of unit testing on evaluating smallest component of the software, it does not perform integration testing. There can be difference in platform, as the product is not developed and tested on the platform where it will be deployed. It requires for the team to maintain rigorous discipline throughout the process to ensure the compliance of actual and expected results. One of biggest advantage of unit testing is that it often executed with the assistance of testing tools and frameworks, which increase its effectivity as well as efficiency. From making the process agile and robust, to helping the team get accurate results, the benefits of using tools for unit testing are several. Since tools are an essential part of unit testing, it is important for us to list some of the most popular unit testing tools, available in the IT industry. Get the detailed information of unit testing frameworks here. Unit testing should be performed independently, to ensure that any modifications and changes implemented in the software requirements are not affecting the unit test cases. The process of test execution should be concentrated on one code at a time. The bugs and defects, detected by the team during the testing process, should be resolved and fixed before the commencement of the next phase of software testing life cycle (STLC). Test cases should be comprehensive and understandable. The testing environment should be isolated from the development environment in unit testing. Find an appropriate and effective tool for the process of testing. Perform rigorous and frequent unit tests. Still unsure about what to test, well follow our unit testing checklist and drive away your testing related apprehensions. Also, find a detailed comparison between Unit Testing and API Testing and enhance your knowledge efficiently.